Infiniti began refreshing its entire lineup in 2014 with the introduction of the all-new Q50 sport sedan. Not only did this new model represent a fresh look for Nissan’s luxury brand when it replaced the aging G37, it was also the first use of Infiniti’s new (and somewhat confusing) nomenclature. A common practice for car companies, Infiniti recently performed a mild refresh for the Q50 about halfway through its typical product cycle, so the automaker invited auto journalists to its U.S. hometown of Nashville, Tennessee, to check out the updated sedan. The most noticeable change on the 2018 Q50 is updated front and rear styling. The new design will help differentiate between the luxury and sport versions of the Q50 — sport versions feature a more angular front bumper with wider, lower air intakes as well as a body-color diffuser surrounding the dual exhaust at the rear. Inside, a new steering wheel has paddle shifters relocated from the steering column to the wheel, as well as a stitched upper instrument panel. The other major change for the 2018 Q50 is the model lineup. 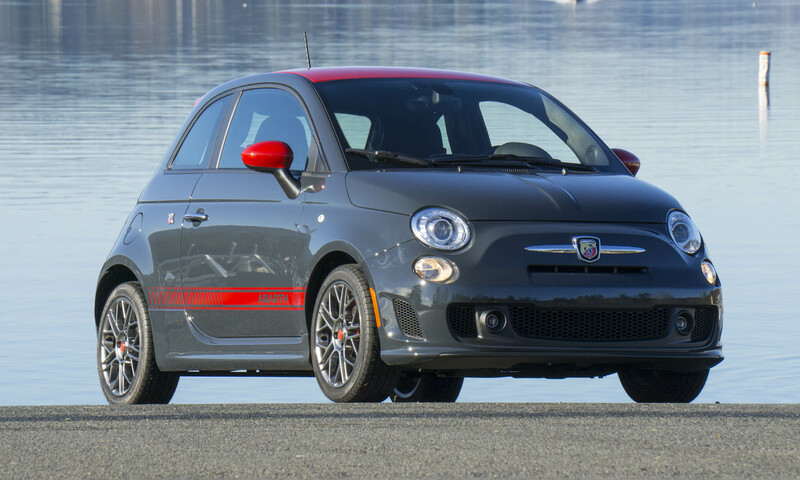 Trim versions will include PURE, LUXE, SPORT and RED SPORT 400. All have standard rear-wheel drive, although all-wheel drive is available on any Q50 for an additional $2,000. The entry-level trim of the Q50, the PURE has a starting price of $34,200. Standard features include leatherette seat trim, power front seats, dual-zone automatic climate control, rain-sensing wipers, a rearview camera, Bluetooth connectivity, a 6-speaker audio system and a dual-display touchscreen interface. The PURE also has 17-inch alloy wheels, LED fog lights and dual chrome exhaust outlets. For $36,550 buyers can upgrade to the Q50 LUXE. In addition to everything found on the PURE, the LUXE gets a power sliding moonroof, maple wood interior trim, chrome trim on the front fascia and 18-inch alloy wheels. The LUXE can also be upgraded to a larger 300-horsepower twin-turbo V6 engine for an additional $2,400. The Q50 Sport is priced at $40,650, which includes the price of the 300-horsepower engine. 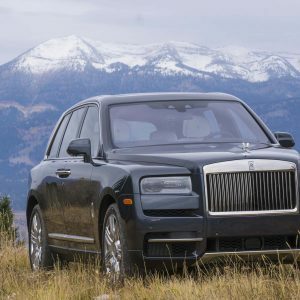 Upgrades over the LUXE include leather-trimmed sport seats, power lumber and side bolsters on the driver’s seat, aluminum interior trim, faster-ratio power steering, sport-design front and rear fascias, and 19-inch aluminum-alloy wheels. Offering the highest performance in the Q50 lineup, the RED SPORT 400 has a starting price of $51,000. The RED SPORT 400 gets quilted-leather sport seats with red-contrasting stitching, heated front seats, a heated steering wheel, large magnesium paddle shifters, aluminum-accented pedals, a rear sonar system, and an around-view monitor. Also standard are larger vented disc brakes with 4-piston front / 2-piston rear calipers, 19-inch alloy wheels, a sport-tuned suspension and unique brushed-finish exhaust outlets. The RED SPORT 400 also gets a power boost to — you guessed it — 400 horsepower. The Q50 can be equipped with the latest in high-tech safety features. The RED SPORT 400 and Hybrid LUXE come standard with blind-spot warning and intervention, forward collision warning, predictive forward collision warning, and forward emergency braking. These features are optional on LUXE and SPORT trims. All except PURE can be equipped with rear cross-traffic alert with backup collision intervention, as well as lane-departure warning. We spent most of our time in the top-level Q50 RED SPORT 400 with sport seats that are both attractive and comfortable. Side bolsters and thigh bolsters help keep the driver planted in the seat during spirited driving, but they aren’t so tight that larger occupants will be uncomfortable. The dual-screen display seems a bit busy at first, but with a little time we discovered it works well. It allows the navigation screen to remain displayed while accessing audio or other menu items. Controls are intuitive, and we like that Nissan designers kept climate control functions activated via hard buttons on the sides of the screen. The 2018 Infiniti Q50’s rear seat has easy ingress and egress and provides a pleasant space for two adults, with a surprising amount of legroom. As with many vehicles of this type, the middle rear seat should be considered usable only when necessary — the seat has a hump and the back is quite straight for the unfortunate occupant. The trunk provides plenty of room for luggage and other cargo; however, it narrows considerably toward the car’s cabin due to wheelwell intrusion. With supports on the outside of the opening, there’s no concern about the lid support crushing items in the trunk. The Q50 is available with a choice of four different powerplants. The base unit is a turbocharged 2.0-liter 4-cylinder engine that produces 208 horsepower and 258 lb-ft of torque. Both the PURE and LUXE can be equipped with the 2.0t engine with rear or all-wheel drive. The 2.0t engine is the only option for the entry-level PURE trim. The Q50 is rated at 23 mpg city / 30 mpg highway with the 2.0-liter engine and rear-wheel drive — fuel-economy drops slightly with the addition off all-wheel drive. 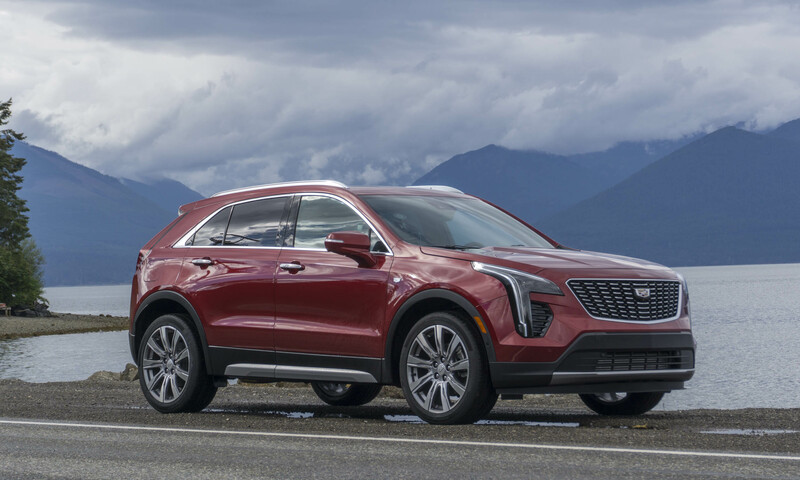 Optional on the LUXE but standard on the SPORT is the more-powerful 3.0-liter twin-turbo V6 engine putting out a respectable 300 horsepower and 295 lb-ft of torque. 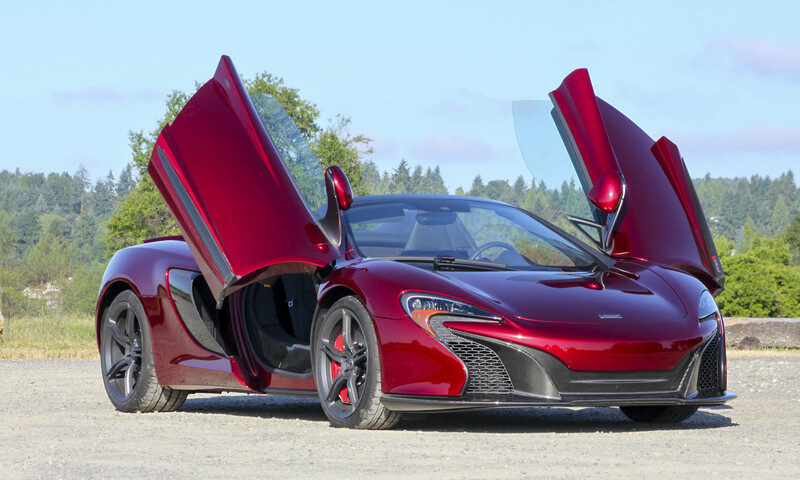 This same engine is used in the RED SPORT 400, but as the name suggests, the engine has been tuned to produce an impressive 400 horsepower with 350 lb-ft of torque. 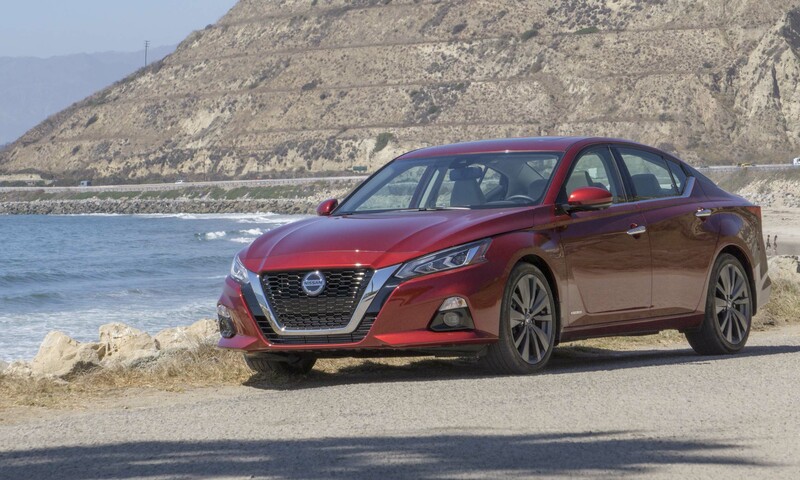 Fuel economy for the 300-horsepower V6 is rated at 20 mpg city / 29 mpg highway, while the 400-horsepower version drops to 26 mpg highway but remains the same for city driving. Both engines get teamed with a smooth-shifting 7-speed automatic transmission equipped with sport mode and downshift rev matching. The transmission is adaptive, adjusting shift points based on current driving style. 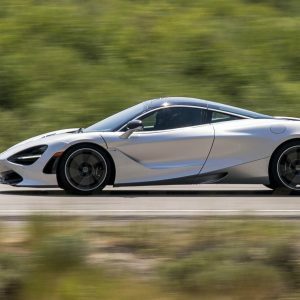 The transmission can be left to do its own shifting, or on the SPORT and RED SPORT variants the driver can use the paddle shifters to change gears manually. We only had the opportunity to drive the highest-performance version of the Q50, the RED SPORT 400. On a combination of twisty roads and freeway driving, the Q50 confirms its function as a proper sport sedan. 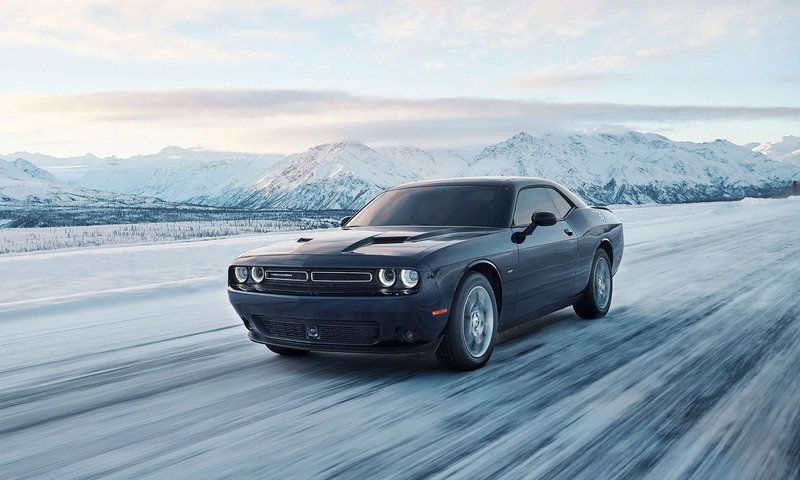 There’s plenty of performance when you want it — with 400 horses on tap, full throttle will keep you pinned in your seat — but it does much more than just go fast in a straight line. Steering is precise and the Q50 delivers excellent handling. Pushing the family-sized sedan around the rolling hills and winding roads near Nashville to be quite enjoyable. But the Q50 is also very comfortable with a smooth, stable ride — cruising the highway on a road trip would be a breeze in this car. There’s very little outside noise thanks to the NVH improvements in the 2018 model, and with a comfortable and spacious interior the Q50 makes a great touring car. 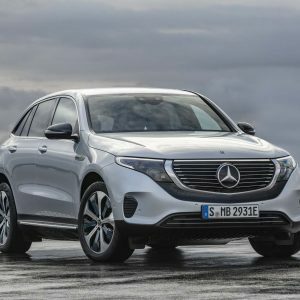 We experimented with the paddle shifters but, as is often the case, the response is somewhat slow and we quickly lost interest in trying to shift on our own. That said, the transmission adapted to our driving style. As we drove in a more spirited manner, the transmission “learned” to hold a gear to higher rpm before shifting. Although the paddle shifters look cool on the steering column, the Q50 is a much more enjoyable ride when left to handle shifting duties on its own. The luxury performance sedan market seems like it would be a small niche, but there is considerable competition in this space. The Q50 certainly holds its own with outstanding performance options, stylish design, a low starting price, a comfortable interior and a range of convenience and safety features. The RED SPORT 400 stands out as one of the few models in this class to boast 400 horsepower as well as available all-wheel drive. If you are shopping for a precise blend of performance and comfort in an attractive 4-door package, the Infiniti Q50 should be near the top of your consideration list. Pros: Attractive styling; excellent performance; comfortable interior. Cons: Slow paddle shifters; limited storage; hybrid fuel economy lower than expected. Bottom Line: Infiniti delivers a proper sport sedan.